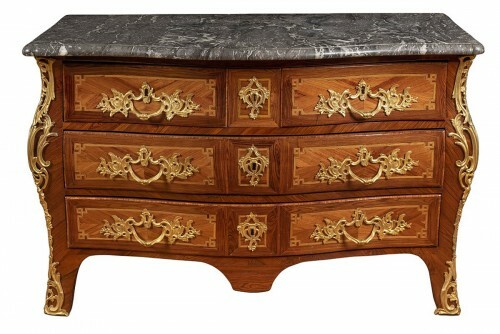 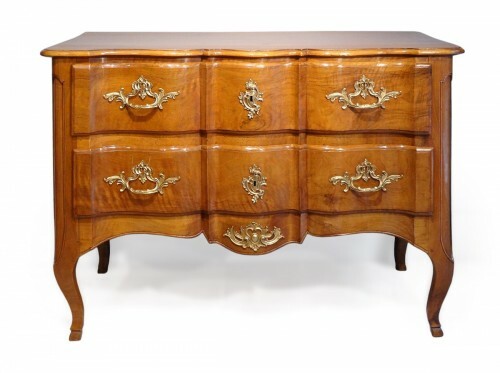 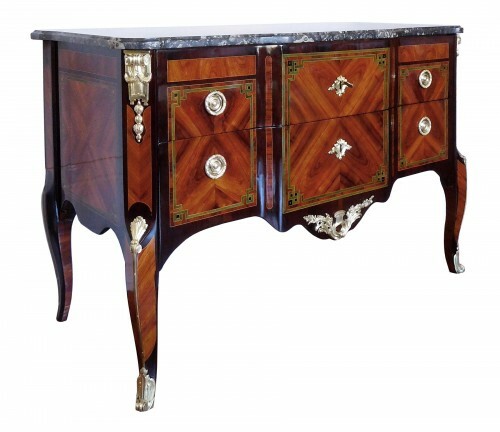 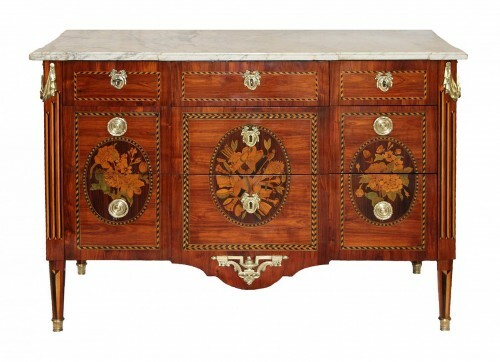 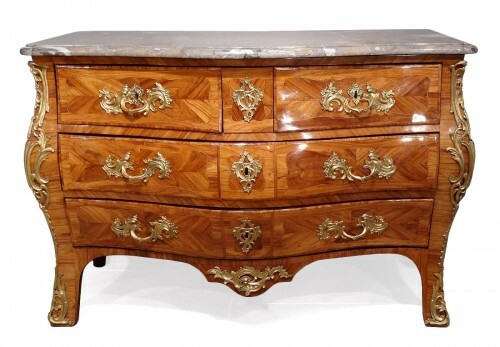 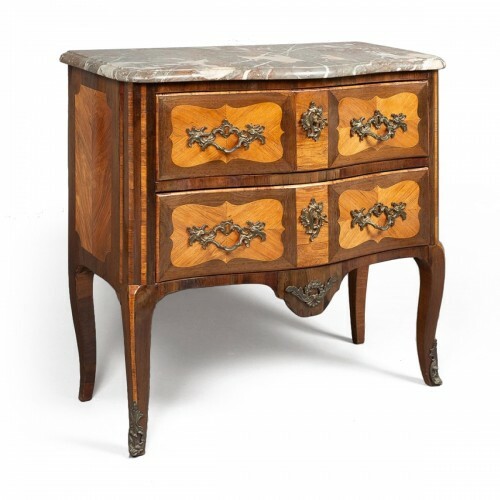 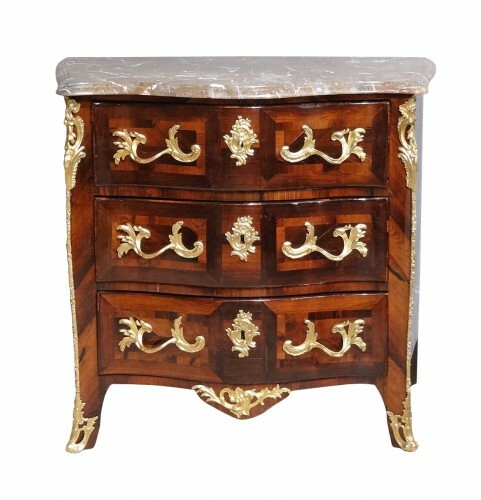 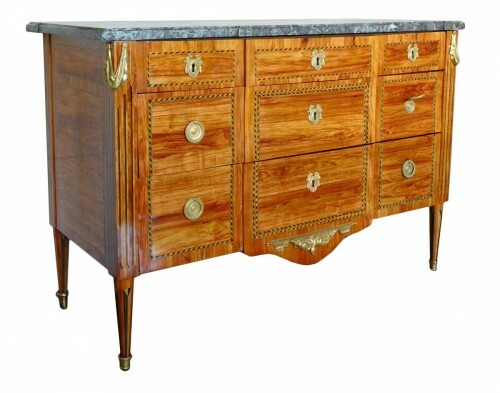 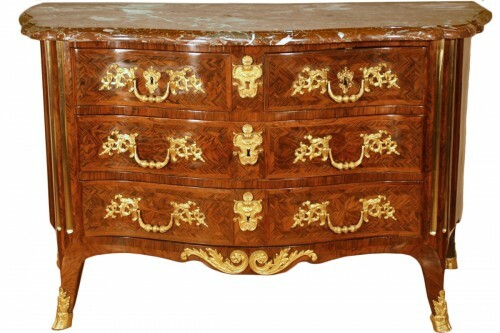 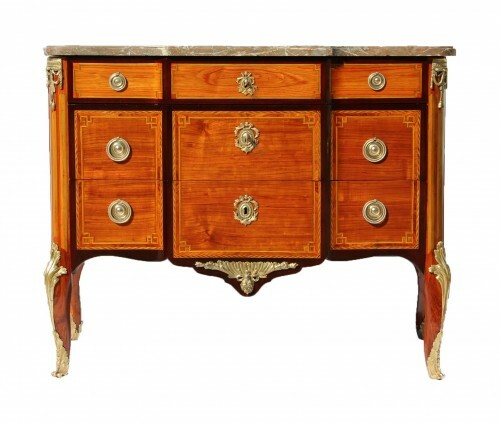 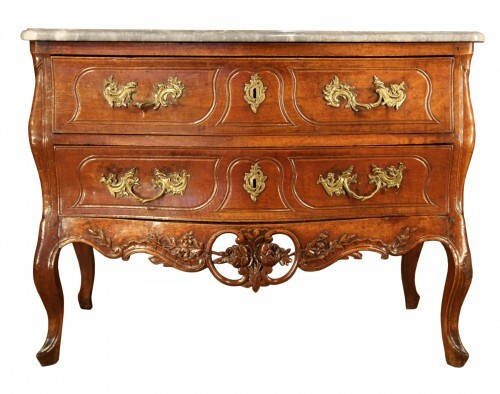 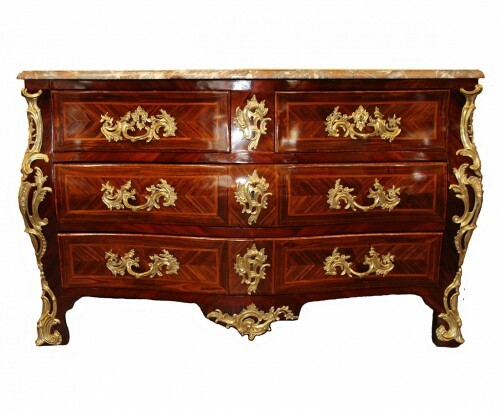 The chest-of-drawers is one of the key pieces in French antique furniture. 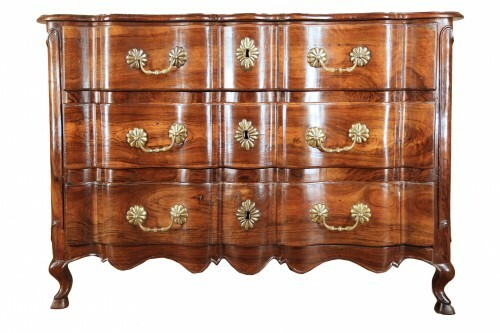 The chest-of-drawers, which is extremely popular, has been one of the most widely made pieces of furniture since the beginning of the eighteenth century. 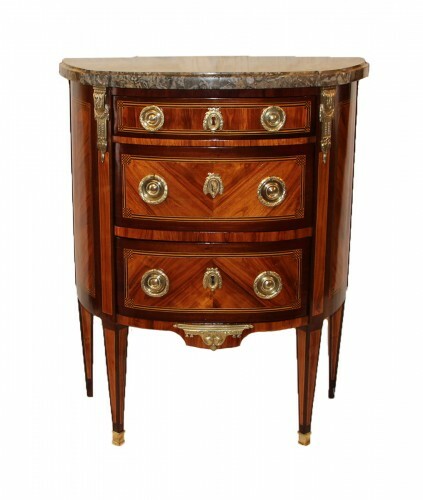 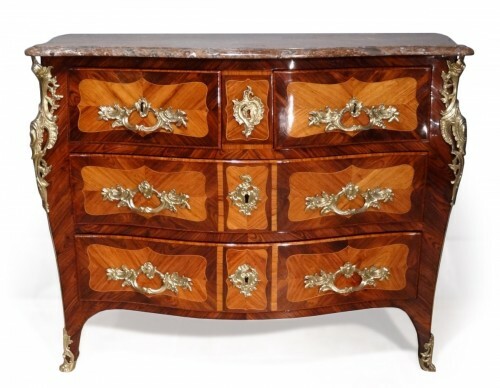 The various types include the curved chest-of-drawers, the commode tombeau, the commode en arbalète, the semicircular (demi-lune) commode, and so on. 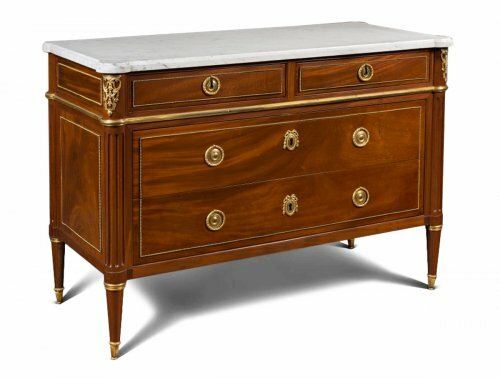 Introduced during the Régence style, the chest-of-drawers is highly appealing because of its graceful lines and elegant functionality. 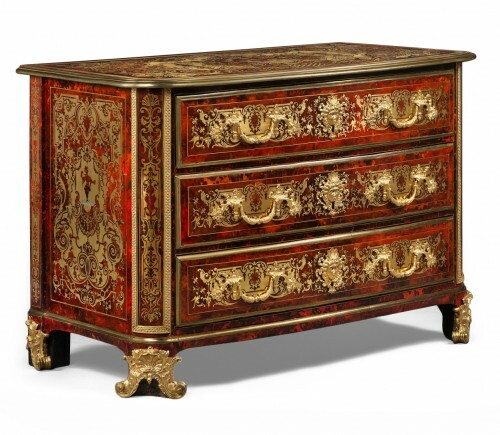 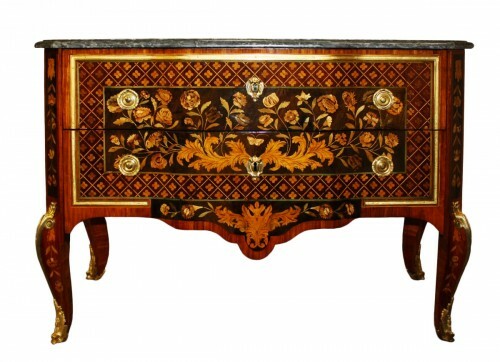 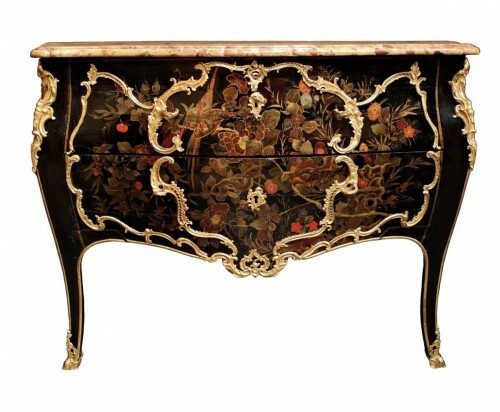 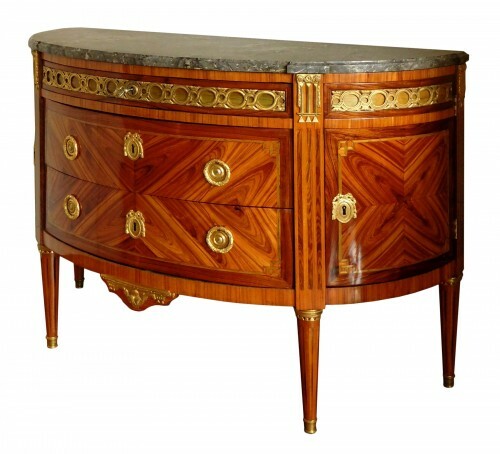 In tortoiseshell marquetry and copper enhanced with gilt bronze, the Boulle commode (named after its inventor) is a piece of court furniture par excellence. 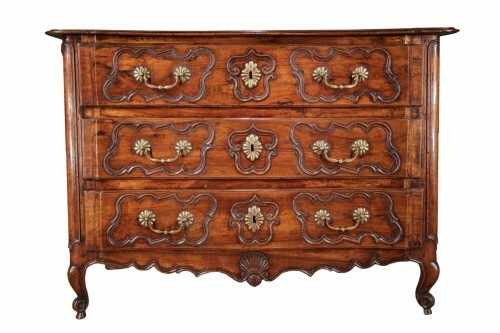 Alone or accompanied by a pair of corner cupboards, and placed in a living room or bedroom, the chest-of-drawers was produced in a variety of forms according to the styles and eras. 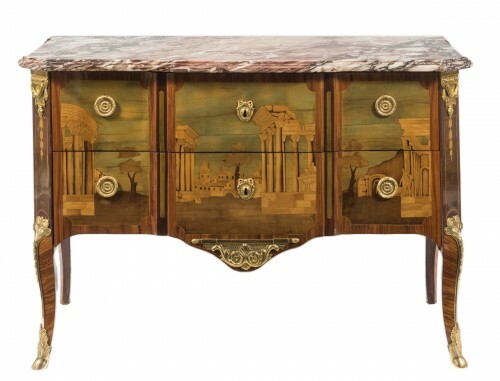 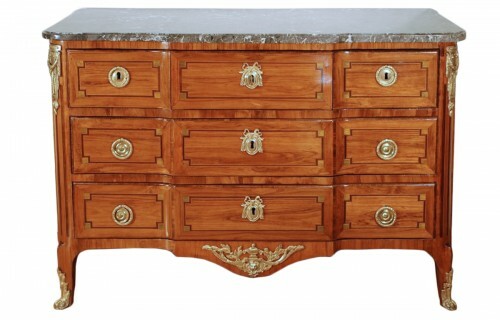 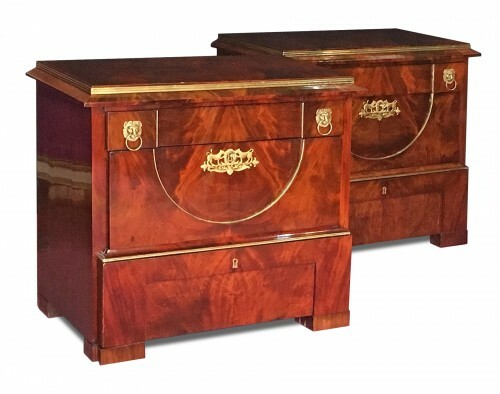 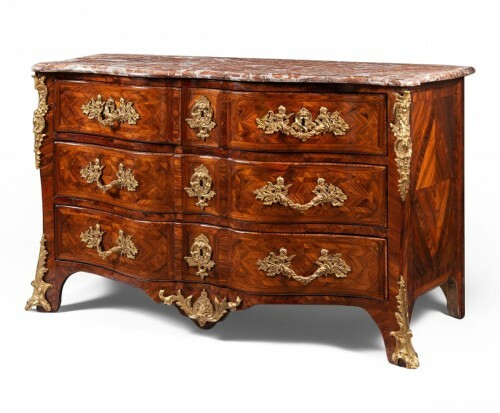 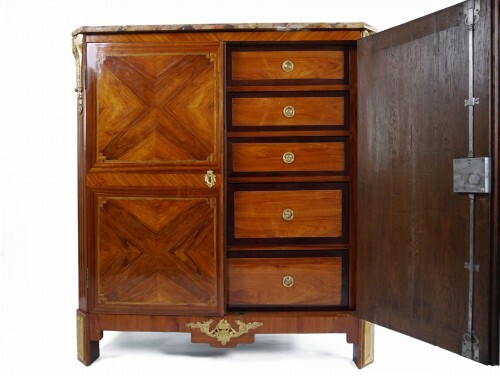 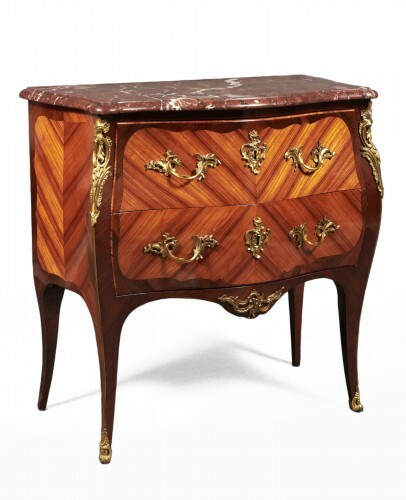 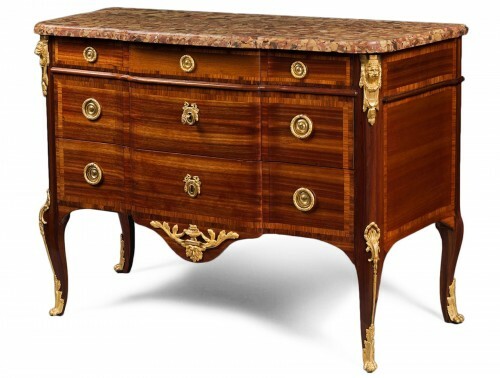 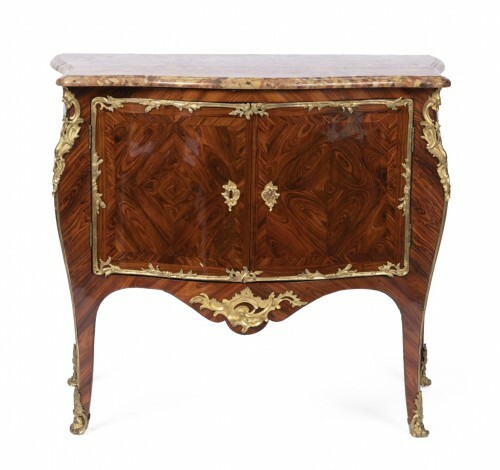 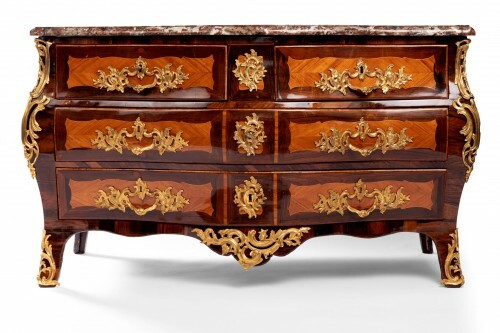 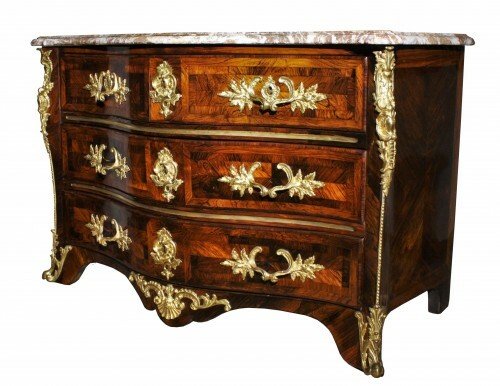 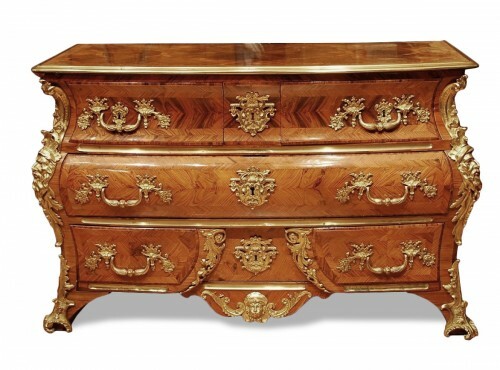 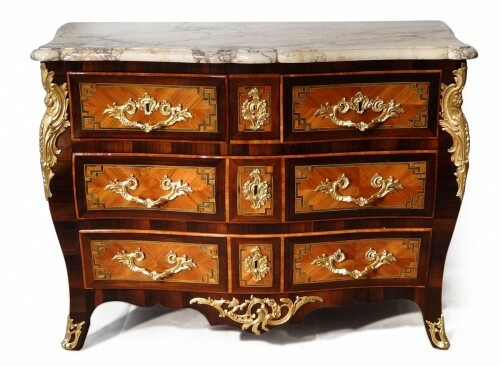 With a curved or straight contour, straight or curved legs, veneered in exotic wood or in marquetry, and ornamented in an exuberant or neoclassical style, the chest-of-drawers became increasingly inventive to create pure harmony with its environment and the epoch.